Money is what you pay in order to get a service or a good in return. A service or a good can be anything as simple as something you buy in a store or a tip you give a waiter to something more complicated like a house that is bought, or a lawyer that is hired. Counting money is important to guard yourself against being shortchanged. Being able to properly count money is also important due to it being the basis of every single financial transaction. In today’s American coinage, there are six circulating denominations. These are the penny ($0.01), the nickel ($0.05), the dime ($0.10), the quarter ($0.25), the half-dollar of 50-cent piece ($0.50), and the dollar ($1). Paper money or banknotes are printed by the Federal Reserve. Today, they come in $1, $2, $5, $10, $20, $50, and $100 denominations. Adding money is easy as long as it is remembered that money is added in the same way that decimals are added. Money is represented as a decimal, with dollars to the left of the decimal and cents to the right of the decimal. To add decimals, simply line up the decimal points of the amounts of money that are being added. When you have added the amounts of money, be sure to place the decimal point in the correct place in the answer and also to include the dollar sign ($) before the answer. Subtracting money is easy, too, so long as it is once more remembered that money has to be written and subtracted the way that decimals are written and subtracted. Dollars go to the left of the decimal point, whereas cents go to the right of the decimal point. Remember to line up the decimal points of any amounts of money that are being subtracted. After the difference is obtained, remember to always place the decimal point in the right place in the answer and also to include the dollar sign ($) before the answer. In order to get efficient at adding, subtracting, and calculating the correct amount of change to receive in any transaction, it is useful to practice with word problems that deal with money. Davey is counting the loose change in his pocket. He has fished out two dimes, 9 pennies, 4 dollar coins, and 4 quarters. He wants to know how much he has in total. How much money does Davey have in total? Lana has broken open her piggybank. She has heard the ice cream truck outside and wants to buy an ice cream cone. After breaking it open, she counts 2 dollar coins, 4 pennies, 5 half-dollars, and one nickel. How much does Lana have in total? Bruce is walking home from school when he finds some change on the ground. Having always been taught “finders, keepers” by his loving parents, he goes to pick up the money. Looking at the change in his hand, he sees that he holds 9 nickels, 1 quarter, 13 pennies, and 11 dimes. How much money did Bruce find on the ground? Trudy is in math class, and her teacher, Ms. Kerfuffle, asks her to come up to the blackboard to demonstrate a math problem. A little nervous, Trudy gets up and shuffles her way to the front of the class. Ms. Kerfuffle reaches into her purse and fishes out 7 nickels, 9 quarters, 2 pennies, and 1 half-dollar. Putting it on her desk, she instructs Trudy to count up the change and write the total on the blackboard. How much change did Ms. Kerfuffle pull out of her purse? Dirk’s mother orders him to get her purse. Being clumsy, Dirk drops it on the way to bringing it to her. As a result, a lot of change spills onto the floor. Dirk wants to be sure he collects everything, and he finds that he dropped 7 pennies, 10 nickels, 8 dimes, 5 quarters, 6 half-dollars, and 2 dollar coins. How much money did Dirk drop on the floor? Biff wants to buy a polo shirt at Brooks Brothers. The shirt costs him $70, but he has more money in his pocket than that. When he pays for the polo shirt, he gives the saleswoman $100. How much money should Biff receive from the saleswoman in return? Hunter is busy shopping at the mall, which has built up her thirst. Looking around at the choices in the food court, Hunter spies an Orange Julius that sells her favorite: an orange smoothie. After setting down her many shopping bags from Hot Topic, she peers at the menu and sees that such a smoothie will cost her $5. She pulls out a $10 bill that she got from her dad to pay for the drink. How much money should Hunter get back in change? Butch is on the swim team at school, and since water polo season will be starting soon, he is eager to buy himself a new pair of swimming briefs for the pool. Heading into his favorite athletic store, Butch quickly spies the briefs that he knows will look great on him in the pool. He sees the price tag: $50. After calling his brother to ask to borrow some money, the athlete pays for the briefs with a $50 bill. How much change does Butch get back. Tara is fond of ice cream, even though she knows that too much of it will go straight to her hips. One afternoon while shopping for groceries in Safeway, she sees her favorite flavor of Good Humor ice cream. Quickly searching through her wallet (it was payday, and she had a lot of bills), Tara fishes out a crisp $10 bill to pay for the ice cream once at the checkout line. The ice cream, though, only cost $6.29. How much money should Tara get back after paying with the $10 bill? Hernando likes to treat himself to a manicure every once in a while. Typically, he pays approximately $25 at his local salon. Today, after getting his manicure, he finds that he is short by $15 after opening his wallet to pay. After calling his girlfriend to bring him some extra money, Hernando is able to pay with $30 for his manicure. How much money should Hernando receive as change after paying $30 for the manicure? 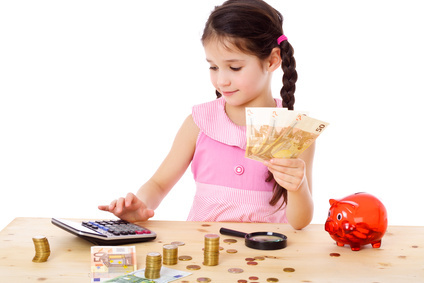 To learn more about counting money, see these links. Money-counting game: A game that teaches kids about counting money. Identify Coinage: Game that teaches kids about counting money by having them identify coinage. Coins in Games and Real Life: Game that encourages kids to guess how many coins are being held. Resource Page for Counting Money: A web page that provides links to other websites with counting games. Counting Change Game: A game that allows kids to count up spare change. Game Worksheet: A website that lets kids use a worksheet to learn how to count change. Worksheet Game: Game that lets kids who are already familiar with counting coins to practice some more. Money-estimating and -counting Game: A game meant to teach kids about counting and estimating money.